There is something so irresistibly fun about playdough. 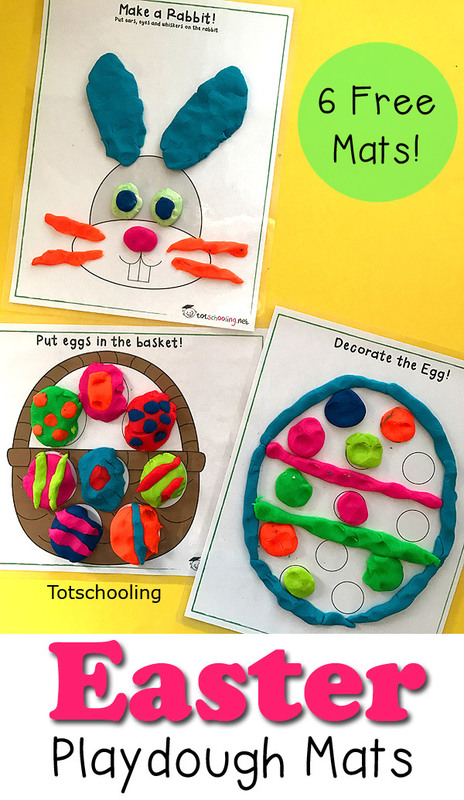 Try out these Easter Playdough Mats for some simple activities that your kids will love! Great for creativity, logic, fine motor skills and color recognition. Just print and laminate and your child can use them again and again. 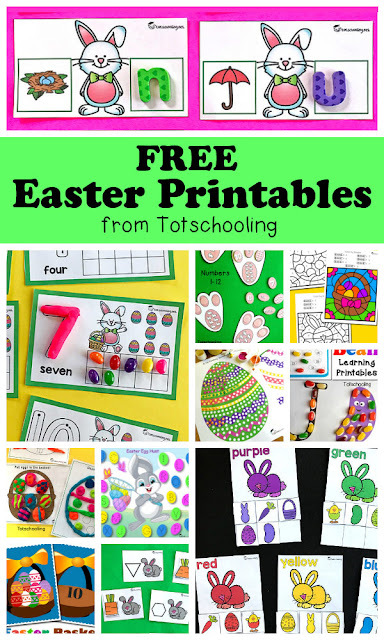 These FREE Easter Playdough mats include 6 designs featuring an Easter bunny, Easter eggs, basket and bunny maze. Our favorite way to use playdough mats is to laminate them, so they can be reused. This is the laminator that I have used for years and highly recommend. For more playdough mats, see our Summer, Fall, Winter and Christmas mats! I've never done play dough mats with my tot, but I think she's ready to give them a try! These are so cute, I downloaded them, and we'll try them out after nap time. Great, I hope she likes them! My daughter loves anything to do with playdough so these were a hit with her. These look like a ton of fun! Thanks for sharing! Mine really enjoy playdough mats; especially when we laminate them and can reuse them! These look great! Featured you on Mom's Library this week too! Oh I just saw it, thank you so much!! Ooo! These look like a lot of fun! My toddler was standing next to me going "Bunny, eggs! Please!" Guess I know what we will be doing later! Aww that's cute! Hope she likes them! These are lovely. 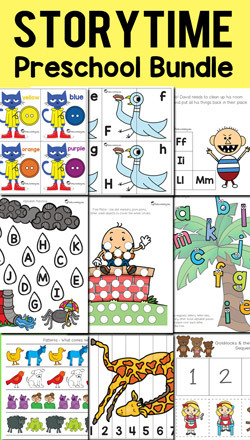 I have a blogger blog and provide freebie worksheets. However I dont think I am doing it right as some people struggle to download. Do you mind me asking how you put your downloads on your blog. Hi Tracy, I just upload my file to google drive and change the sharing properties to "anyone with the link can view". I do occasionally get some people who are unable to access it for some reason, but for the most part I would say it works well. These are fantastic mats! Very creative! This is adorable! Thank you for sharing on Makeovers & Motherhood's Welcome Party Wednesday Link-Up! I will be featuring it this week! That's great, thank you so much!